On the blog today as part of my Pinup Q&A Series, we are finding out about stunning retired pinup model, Features Editor for Vintage Life Magazine and Teacher, Haili Hughes, aka Coco Fierce. When did you start to get into Pinup and why? I've been wearing 40s/50s clothing for almost twenty years but did not become a pin up model until I was in my late twenties. It was a bit of a crazy story really...I had been very overweight since university and then after I had my son I decided that it was time for me to do something about it. So I really knuckled down and managed to lose 6.7 stone in eight months! In my head I was still the big girl who nobody noticed but I was being tattooed for the full day at a tattoo convention and somebody from a modelling agency who had a stand there approached me and asked me to send them some pictures. I thought they were joking! So I tentatively had a shoot done, sent it off to Spirit Models (who were the biggest alternative modelling agency in the country at the time) and was signed! The rest is history. What was it like modelling for so many well known designers and brands? Unbelievable really. I think I modelled for 200 brands at one point! Everytime it happened I pinched myself. I think the biggest moment for me was modelling for Freddie's of Pinewood and Rocket Originals as they are my absolute favourite brands but working on shoots with VoH, Collectif, Irregular Choice and Miss L Fire was pretty mind-blowing. Modelling at London Edge for Miss Candyfloss was an amazing experience also. You started modelling 7 years ago. In your opinion, what has changed about the industry during that time? I think what has changed is the sheer number of "models" that are around or girls that call themselves models. Now a lot of girls who are trying to make it on Instagram as models will use the hashtag pinupmodel and brands will send them things to be photographed in at home, rather than paying proper models. There were also hardly any bloggers compared to now as well and a lot of bloggers now shoot things for brands rather than models as well...I suppose my point is that nobody is being paid. I feel models are less valued now really. The pin up look is now hugely mainstream and there are a plethora of make over experiences where anybody can be a pin up. It's all a little over saturated in my opinion. What is your favourite pinup look? I wouldn't really say I have a pin up look at all! 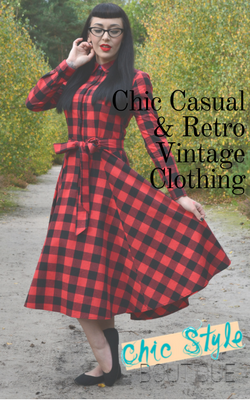 I'm not really into repro rockabilly style stuff unless it looks very authentic. I do like tiki and Mexican style but I'd say I'm into more authentic style and the 40s. I hate the whole petticoat, polka dot thing. Women in this country did not look like that in the mid century. I also have a massive love for dramatic hats, accentuated shoulders and novelty prints. 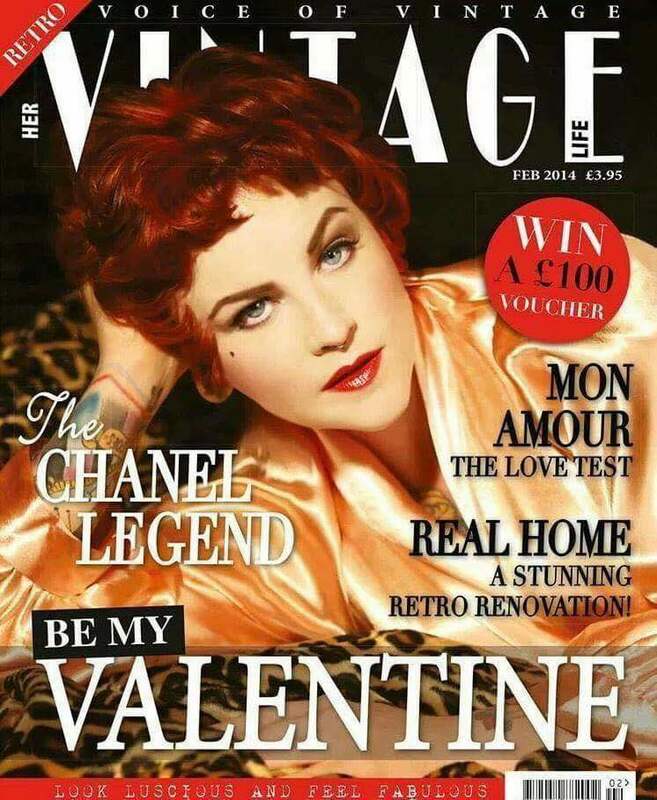 What is it like being the Features Editor at Vintage Life Magazine? I regularly write features for the magazine and love it. It brings me massive joy. I was a journalist at several national newspapers in London before I became a teacher so writing has always been my life. Hands down writing. I rarely model now and don't enjoy it. I much prefer judging competitions, making guest appearances and hosting events - I would like to develop this. 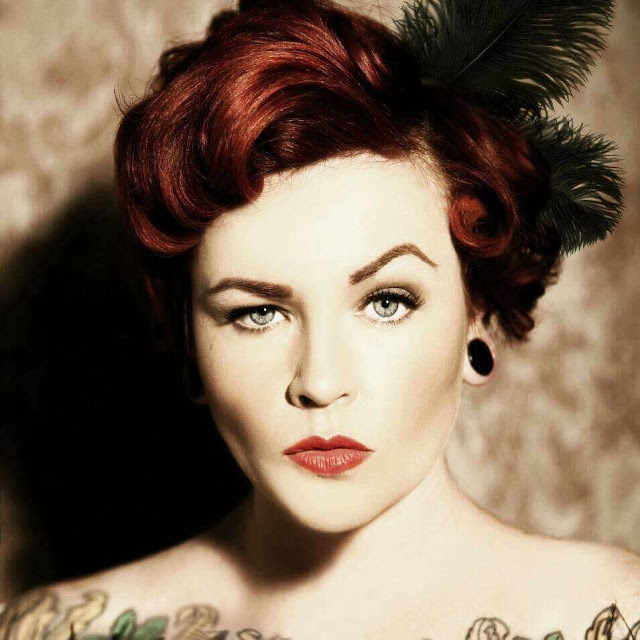 How did you come up with your Pinup name, Coco Fierce? I'm a bit of a contradiction really...I'm classy like Coco Chanel and a bit of a ball breaker so that's where it came from. I collect anything 40s/50s and this is pretty much a full time hobby! I also love to read, write for 4-5 magazines a month and am writing a book. I'm studying for my third Masters degree in September and also go to the WI and knit. I'm also learning the double bass. This is a very difficult question. I'd have to say Gone With the Wind. I even have a tattoo of Rhett and Scarlett on my shin. If you could go back in time to one era, when would it be and why? Probably the 60s as you could pick up 40s and 50s stuff for pennies! I'd have hated to live during the war years. In the 60s women were beginning to be able to have careers and I'm a really career centred person. Who is your favourite Pinup and why? Modern wise, I love Natalia Fox as she has such a unique face. I'm also obsessed with Rita Hayworth. I prefer femme fatale in film noir than pin ups - they had more brains. Which clothing labels are your favourite and why? I love anything that looks authentic. As I mentioned above Freddie's and RO are favourites. I also love Morellos, Miss Bamboo and Trashy Diva. 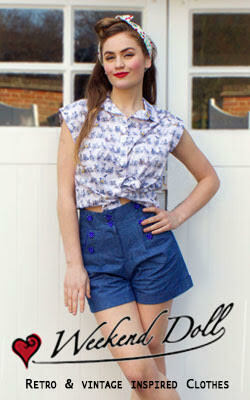 I love Bernie Dexter's prints and Love Ur Look have some prints to die for at the moment. I get most of my clothing made for me though by Melanie of Retropoodles. Girl in a Whirl does incredible custom skirts too. I only wear Rocket Original, Miss L Fire and Johnsons shoes. I don't mind admitting I spend a fortune on clothes. I recently spent almost £400 on a Lilli Ann coat but it's worth every penny. My collection is my pension! Do you have any advice for anyone starting out in pinup? Pay somebody like Nicola from My Boudoir so you can get a decent portfolio rather than working with sub-standard people TF. You need to stand out. You can keep up to date with Haili on Instagram, Facebook and Twitter.